Hello! Check out what Amy and Maska have for us today. Amy created this adorable fairy. I love how she shaded the background and added the star glitter. It is the PERFECT background! 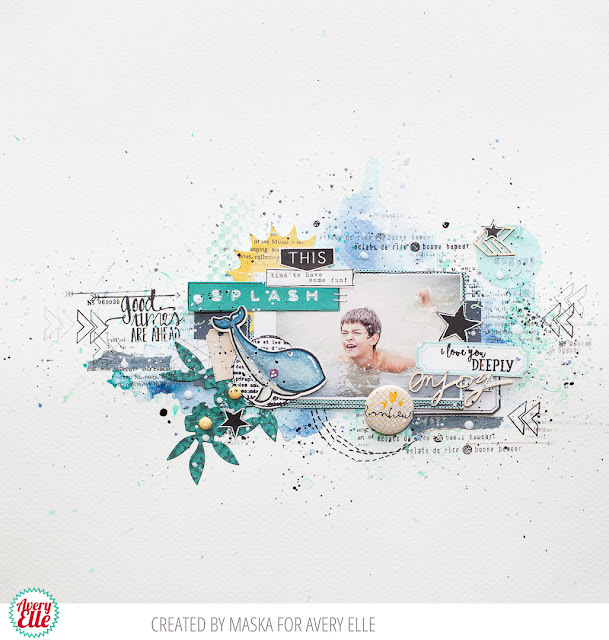 Maska created this cute layout. The whale is a perfect accent for a summertime beached themed page. Thanks Amy and Maska for sharing your amazing projects with us today. Thank YOU for stopping by to take a peek. Have a great day! Sooo sweet! That fairy is just happy! Cute card and awesome layout. That sweet fairy makes me smile!